The city of Manchester is renowned for being home to some of the North West’s finest office environments available, offering a fantastic return on investment to tenants currently situated in the area. 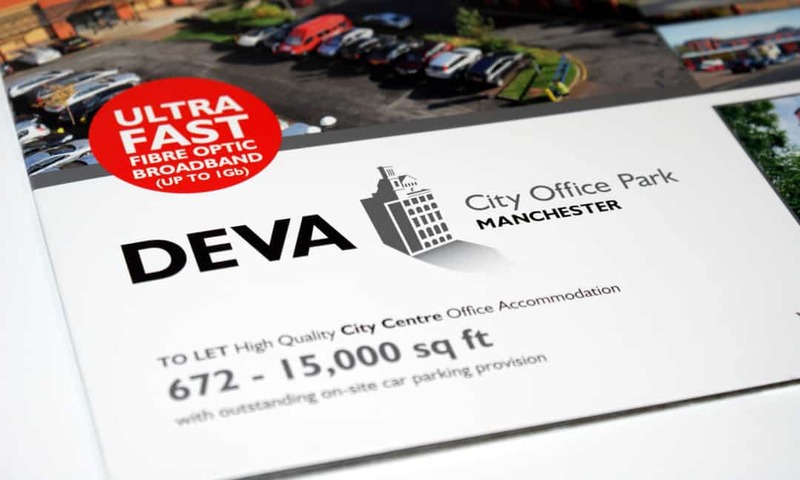 Deva City Office Park, situated in Manchester city centre, is one of the region’s most iconic office schemes currently available for lease, offering competitive unique accommodation with the benefits of city centre amenities and a host of public transport links nearby. Deva City Office Park is the space with a difference. Our team at Creativeworld has been working with property fund managers and owners, Northwood Investors International Limited, on their development of Deva City Office Park scheme for a number of years, having been originally commissioned back in 2011 to create a bespoke marketing package for the site’s launch to the market. The marketing literature our team produced, which was unveiled to the North West commercial property market in June 2013, included a flexible updatable folder and a variety of promotional inserts, demonstrating the scheme’s key features and selling points. The printed material featured a spot uv finish throughout along with a 5 colour process to incorporate a silver metallic finish. New striking location and internal photography was also taken, along with the design and installation of new letting signage. 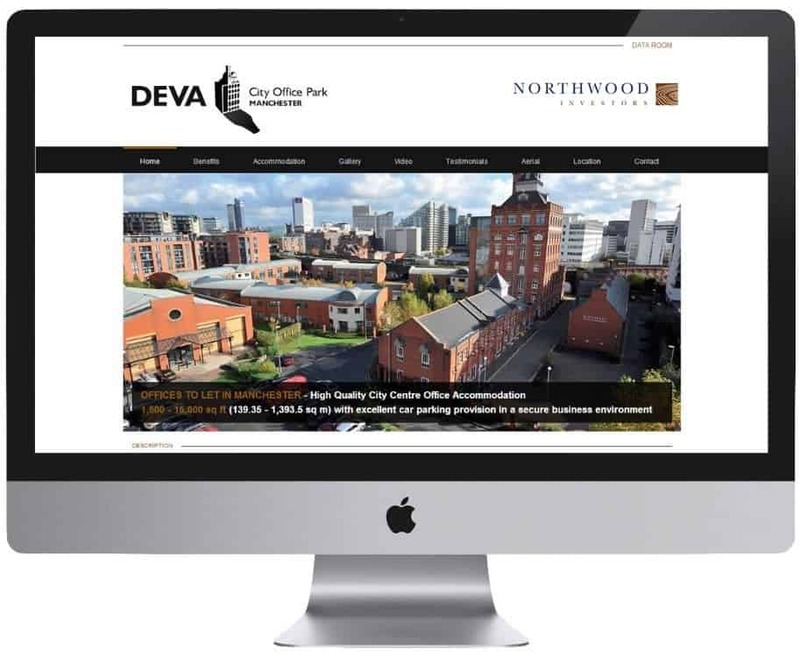 To coincide with these, the existing Deva City website was also overhauled and rebranded to complete the makeover.